Here are answers to the most frequently asked questions about the Tree Montgomery shade tree planting program. Click on the sections below to see more tree FAQs. You apply by filling out a simple on-line application. Are the shade trees really free? Yes! We’re offering shade trees, installed, with detailed aftercare guidance. All free, and paid for out of the Tree Canopy Conservation Account. How many free shade trees can I get? It depends on the size of your property, the number of suitable locations to plant shade trees, and the need for shade. Usually, we can plant more than one tree on each property. Where does the money come from? Are these tax-payer dollars? The interest in Tree Montgomery continues to be tremendous. We’re working hard to reach out to everyone. Please be assured that this program is on-going and funding is available; and while we do have a waitlist of at least one year for most areas of the County, someone from our staff will reach out to you as soon as possible. How do I contact the program? If you cannot apply online or need to reach us via phone, please call MC 311 (Outside of the County: 240-777-0311 / TTY: 301-251-4850). Which jurisdictions are NOT eligible for Tree Montgomery? Tree Montgomery is not available within the city limits of Rockville or Gaithersburg. These jurisdictions do not pay into the funding for Tree Montgomery because they have separate requirements for development activity. However, other tree planting programs are available in these areas. Find out more. Do I have enough room for a large shade tree? Tree Montgomery staff will meet with you to help assess your property for suitable locations for new shade trees. Further, the staff will work closely with you to choose locations and species that fit with your needs and wants. Can we plant the tree in the right-of-way? What is a shade tree? Shade trees are trees that can reach heights of more than 50 feet tall and typically have broad leafy crowns. Examples include oaks, maples, and elms. How many tree species are available? Which should I plant? Tree Montgomery has planted more than 35 different species. All our shade trees are more than 10 feet tall when planted and will grow to more than 50 feet at maturity. During the site visit, a tree expert from Montgomery County Department of Environmental Protection will help select the best tree for your property. Can I select the species? Tree Montgomery staff will work closely with you to select species that will fit your needs and thrive in the growing conditions. Usually, several species are available to choose from. You will be able to make the final selection. How big will the tree get? All trees offered through this program are shade trees. Typically, they are at least 50 feet tall with a broad leafy crown when they are mature. The growth rates vary widely but it takes time for trees to grow to large sizes. Tree Montgomery staff will give you details about each species and help you select a one that meets your needs and fits your space. Will it drop acorns or other fruit? Some of our tree species have large fruit, some have small seeds, and others have no fruit or seeds. For example, all the oak species drop acorns. Tree Montgomery staff will give you details about each species and help you select one that meets your needs. What is a site visit through Tree Montgomery? A County Department of Environmental Protection staff member working through the Tree Montgomery program will come to your property to meet with you. Together, we will walk around the property to identify potential locations to plant shade trees and talk about species that may work for you. We will explain all our planting procedures and answer any questions you might have about the program. The site visit typically lasts for 30 minutes. You can choose between several time blocks for appointments. We may arrive for your visit at any time within your selected block. If no time blocks for your neighborhood are convenient, we will continue to notify you of additional time blocks through the SignUpGenius. Will the site visit and the tree planting happen the same day? No, the site visit will happen first with a visit by a County staff member from the Tree Montgomery program. We offer site visits all year. Once locations and species are chosen, and you complete the simple right of access agreement, a County-approved contractor will notify you of your tree planting date. Tree Montgomery plants through the fall, winter, and spring. We stop planting on May 1st each year and start again on October 15th. This gives the newly installed trees the best chance of survival. However, it gives us a limited window to plant. Further, the planting schedule is subject to winter weather, location within the County, and availability of species. For the site visit, yes, you need to be present to discuss the program, species, and locations. For the actual tree planting, the contractor will need access to the planting location. For example, we will ask you to leave fence gates unlocked and have all pets safely secured so the contractor can access the location to plant a tree. Do I have to pay for the tree? The tree, the planting, and detailed information and reminders about tree care are absolutely free to you. 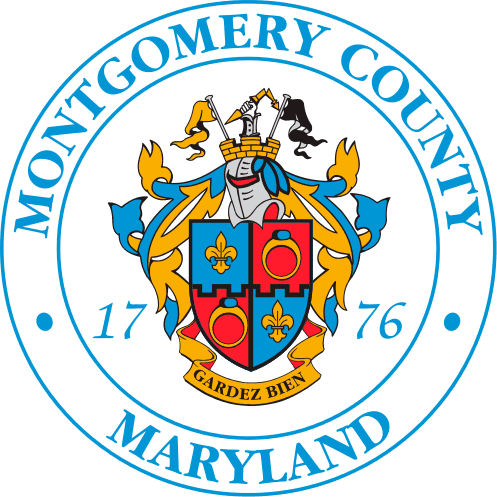 The shade trees are paid for with funds from the Tree Canopy Conservation Account, which is funded by fees that are paid to offset disturbance to the environment during development activity in Montgomery County. Do I have to sign a right of entry agreement? Yes, before the County can plant a tree on private property, we need to have a signed right of access agreement. This document gives the County and our contractors permission to plant the tree species you selected in the locations you selected. The agreement also allows the County and our contractors to return to inspect your new shade trees. View a sample agreement here. Will I need a permit if I need to remove this tree in the future? We hope that you will enjoy your new shade tree for many years, and we will work with you to select locations and species that will avoid future conflicts. However, if you need to remove a tree planted by this program, there are no restrictions and a permit will not be required. Who will plant the tree? The planting will be done by the County’s contractor, who was selected based on their professionalism and experience with tree planting techniques. Currently, the contractor is D & A Dunlevy Landscapers, Inc.
How will the planting process work? You can learn more about each step in the process on How It Works. How big is the tree when it is planted? Each new shade tree will be about 10 feet tall at the time of planting. Aftercare is the ongoing maintenance of trees, shrubs, and other plants during the first several years after planting to help give them a good start. Does the tree need to be watered? There are two times when it is most important to water a tree: immediately after it is planted, and during the heat of summer. Please see the Care Guide page on watering. What should I do for the tree? You can help a tree by adding the proper amount of mulch, removing weeds, watering the tree, and avoiding damage to the tree by lawn mowing equipment. Please see the Care Guide for more information. What happens if my new tree dies or has a disease? If you receive a free shade tree through Tree Montgomery and something happens to it, the program will replace it for free. If you notice that your newly planted tree has significant signs of disease or damage (for instance, if more than 50% of the leaves are missing or dead) please send an email to Tree Montgomery. If possible, please attach a photo of the tree to your email. How do I protect my tree from deer? Tree Montgomery provides guards or wire fencing to protect the trees from damage by deer. Male deer, or bucks, will rub their antlers against trees to remove velvet and leave their scent. We refer to this as ‘buck rubbing’. Bucks instinctively rub their antlers throughout late summer and fall. The guard or wire fencing protects the trunk from damage from this rubbing. If the deer protection comes off or breaks during the first several years be sure to keep the trunk protected. The deer protection is no longer needed when the stem of the tree is more than 3 inches wide. What about browsing? Will the deer eat my new tree? No, the Tree Montgomery trees are tall enough that deer will not reach the top-most branches. Therefore, they will not cause severe damage by browsing. Does Tree Montgomery provide free aftercare? Tree Montgomery has detailed information on the website about how to care for your trees. Tree Montgomery will also send out weekly watering alerts in the summer, and provide support through direct emails if you have any questions.